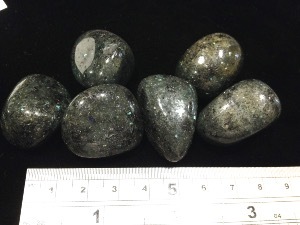 Galaxite is a micro-labradorite in Feldspar. Also known as Aura Stone, because of its’ properties of protecting, cleansing, and balancing the aura. It can protect the aura also by stopping energy leakages. It enhances both the conscious intellect and the subsconscious mind, it is said to help with easing stress and anxiety. 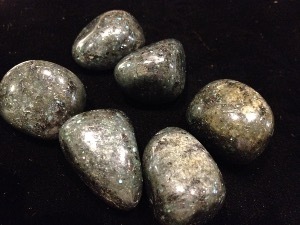 Galaxite, Labradorite and Feldspar tumbled to a smooth finish, an ideal pocket size stone, small enough to carry around with you. Tumble Stones can also be placed around the home for their energies or can just be nice decorative items. A Galaxite crystal gemstone of varying sizes selected specially for your order.